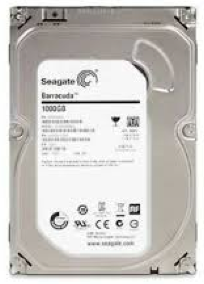 We are seeing a high number of Seagate Barracuda 7200.14 hard drive failures. The hard drive makes a repetitive ticking noise when first powered on and is not recognised by the computer. The ticking noise is common to most types of hard drive mechanical failure (see a video here) and indicates a fault with the drive’s read / write heads. Usually replacing these defective parts with a compatible set in the Data Clinic clean room is enough for us to be able to recover the data, but with these hard drives we have noticed that many have additional damage to their Service Areas. This makes recovery of data extremely difficult. A hard drive’s service area contains specific unique information about the hard drive that is crucial for it to function correctly. If the service area of a hard drive becomes damaged it can seriously damage the chances of successful data recovery on the hard drive. In many ways the service area of a hard drive is it’s Achilles Heel. It’s not possible to recover the data from a hard drive without the service area intact. As discussed above, the chances of successfully recovering data from these particular hard drives depends on whether their service area is still intact. Unfortunately, there is no way to tell without us examining the drive and diagnosing it carefully. Call us on 0871 977 2525 or use the form to the right to contact us.